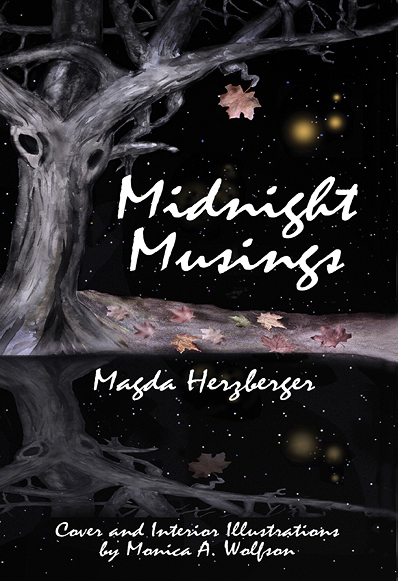 The apt title of Midnight Musings brings together the prodigious, expansive, and real-life reflections of Magda Herzberger, an extraordinary figure by any measure. She sits alone in the company of her thoughts-past, present, and to come-and reaches out eloquently and movingly to readers from all walks of life. If each one of us is the sum total of everything we have ever experienced in our lives, Magda brings much to the table. We feel privileged to enter into her world, one that unfolds through a variety of poems steeped in reality, fantasy, quest, and profound faith." "As a poet," Magda says, "I feel that I am like a photographer. Sometimes I focus my camera and take pictures from the outside world surrounding us. Other times I take photos depicting the many aspects of the inner world of my soul. Behind each of my poems in Midnight Musings, there is a story to be told and experienced."